Chiropractors have been adjusting and manipulating the spine for over a century. Millions of patients have experienced relief from low back pain with Chiropractic care. However, many critics of chiropractic care have emphasized the lack of evidence for Chiropractic manipulation and expressed confusion in what services chiropractors provide. It’s a fair critique and deserves a considered and researched response. 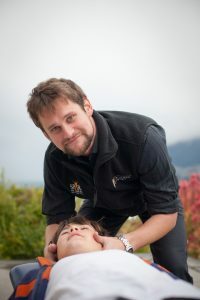 What do most chiropractors do and does it help? A recent study “The chiropractic profession: a scoping review of utilization rates, reasons for seeking care, patient profiles and care provided, answers this question and gives a snapshot of what chiropractors actually treat throughout the world, currently. The article synthesized evidence from a multitude of studies, using data from thousands of chiropractic patients around the world over a three-decade period. It found that most chiropractors are doing similar treatments and treating similar conditions. I have summarized the information from the study in bold, but you can read the study yourself by clicking on the link below. The predominate reason why people see chiropractors is for musculoskeletal problems. 50% of chiropractic patients over the last 35 years visited a chiropractor for low back pain treatment. Around 22.5% of patients had neck complaints and only 3.1 % of patients visited a chiropractor for non- musculoskeletal (visceral) conditions. This is very relevant for understanding what chiropractors do. It is strong evidence against the idea that chiropractic is an airy-fairy, hodge-podge profession, with conflicting ideas and no consistent treatment intervention. Half of our patients see us for low back pain, a quarter for neck pain and the remainder- for various other skeletal aches and pains. Less than three percent of people consult a chiropractor for non- muscle/joint pain conditions! Chiropractic care does have strong uniformity in what we treat and has demonstrated this consistently since the 1980’s. Yes, practitioners and techniques can differ and do make a subjective difference. But we must emphasize the fact that the number one reason why people see a chiropractor is to alleviate low back pain! This is the most common problem globally that chiropractors treat. 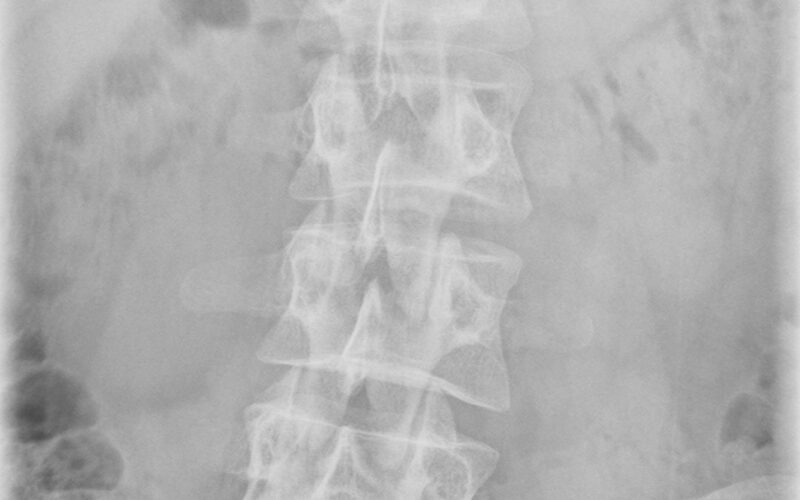 How do chiropractors treat this problem? Well, we adjust the spine. This is known as chiropractic manipulative therapy (CMT). Most chiropractic patients- 4 out of every 5 of people who sought chiropractic care received spinal manipulation. 35 % of patients received soft tissue therapy and 31% received formal patient education. Chiropractic has come a long way in the last decade. 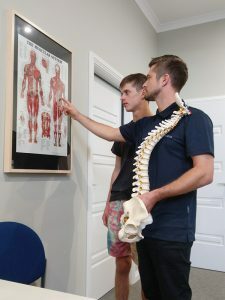 But it’s clear from the evidence that chiropractors have been adjusting and manipulating the spine, massaging and releasing the muscles and giving advice and exercises to patients for well over thirty years. Static palpation was used by 90% of chiropractors; motion palpation by 87%, orthopaedic examination was utilized by 71% of chiropractors, 64% of chiropractors used neurological evaluation and examination, 35 % of chiropractors used x-rays as an assessment tool. It’s clear that chiropractors are very comfortable examining and effectively diagnosing musculoskeletal problems. We have been treating patients successfully for many years. 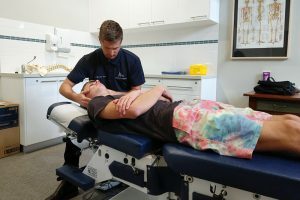 The past decade has seen a multitude of high quality scientific studies strongly indicating that chiropractic care is helpful in alleviating low back pain. 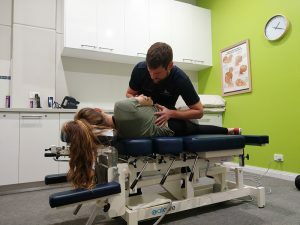 Because chiropractors commonly manipulate the spine and most commonly treat the low back, lets consider the scientific evidence supporting this intervention. Manipulation and mobilization for treating chronic low back pain: a systematic review and meta-analysis. This review has been conducted at the strongest level of scientific enquiry. It is also very recent, accepted into the Spine Journal in January 2018 and in my view strongly indicates that manipulation can alleviate chronic low back pain. You can read the study yourself by clicking the link below. Here is the conclusion of the article. In research terms, that’s high praise. It is highly supportive of the clinical reality that manipulation is beneficial in the treatment of Chronic low back pain. But what about acute low back pain? That horrible and debilitating, can’t move or work, “Why is this happing to me” awful sensation that Chiropractors see every day. Is there strong evidence that manipulation helps? Consider the following article (with link), which summarised the findings of 26, randomized controlled trials on this exact question. Association of Spinal Manipulative Therapy With Clinical Benefit and Harm for Acute Low Back Pain: Systematic Review and Meta-analysis. The clinical benefit was modest and the pain benefit was similar to some anti- inflammatory drugs (of which clinical harms such as gastric ulcers are very real complications). However the underlying positive message for chiropractors and patients is that spinal manipulation does help acute low back pain. Most of the time, such views come from a position of distrust or ignorance. Sadly, sometimes from both. I understand full well why some doctors, physiotherapists and members of the public think of Chiropractic poorly. Chiropractic history is littered with controversy, and a lot of anti chiropractic feeling stems from the collective mistakes Chiropractors have made over the years. Many of those mistakes still haunt us today. But like with anything, group or individual, judge first on the evidence of an entities current merits and actions rather than its past. Acknowledge the evidence behind chiropractic care rather than listen to the history of its reputation. At King Chiropractic, we will adjust the whole spine, massage or stretch the relevant muscles and ligaments, and advise best home care to alleviate your pain or problem. We don’t just treat backs and necks however. Manipulation will benefit other problems with the joints of your knees, hands, feet, elbows and shoulders (to name a few). At King Chiropractic we treat the whole spine and consider it a moving kinematic chain. If one part isn’t working or moving well, maybe causing pain, we will get it moving better. You will move better, sleep better and feel better with treatment at King Chiropractic. Do you know anyone with low back and neck pain? Do you suffer it yourself? Is your doctor or friend skeptical about what chiropractors do and whether it can help? Let us know! Give them this article and if they have questions give us a call or email! We are more than willing to help and discuss how chiropractic can help you.